The famous Bauhaus school of Art, Architecture, and Design opened in Weimar in 1919, and during its short lifespan, it made an enormous impact on the world of design and architecture. This year, Germany is celebrating 100 years of the Bauhaus. Check out their program here, as it will take you to the origins and places of activity of modernism. The legacy of Bauhaus is still present today – from architecture, furniture design to the whole idea of “form follows function”. We cannot talk about the Bauhaus without mentioning its founder Walter Gropius – the man who had the vision to create art accessible for everyone and not just a luxury of the few. 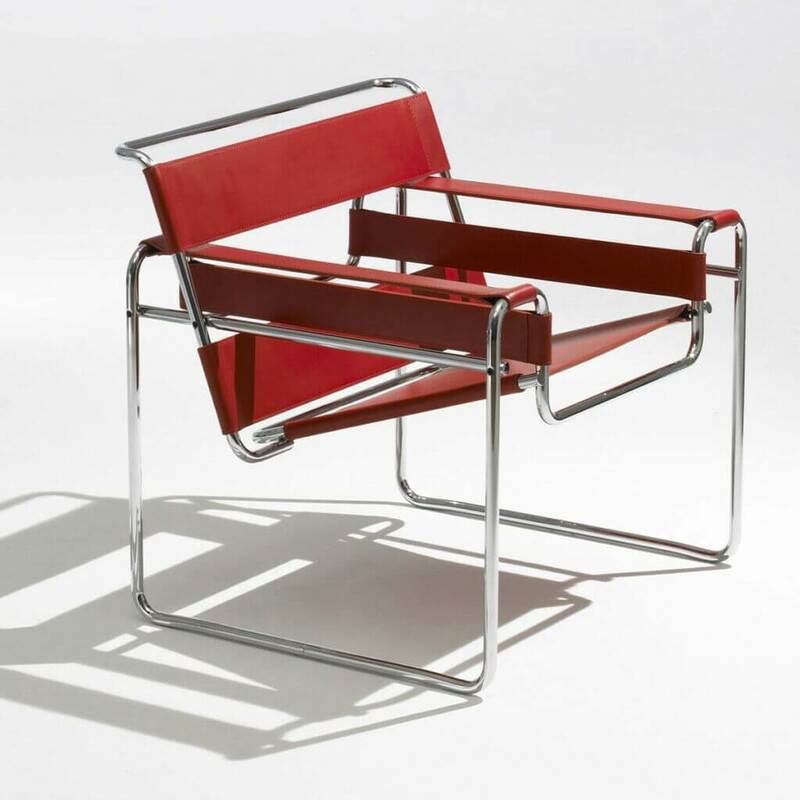 Gropius founded Bauhaus with the desire to unify all arts and embrace art, architecture, graphic design, interior design, industrial design, and typography and implement it into production and development of everyday objects. 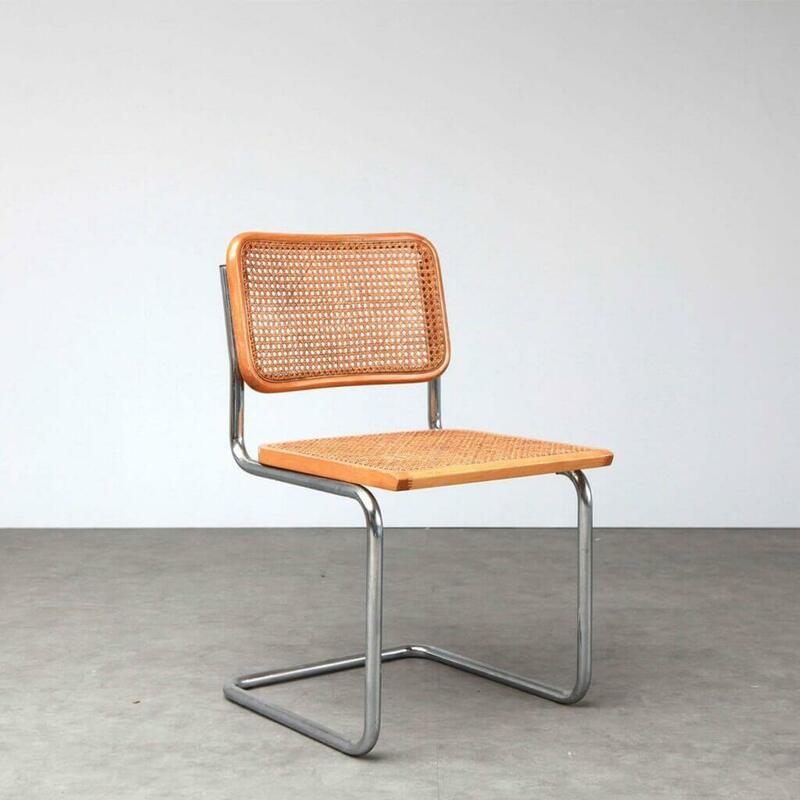 Take a look at some of the best-known products from Bauhaus! 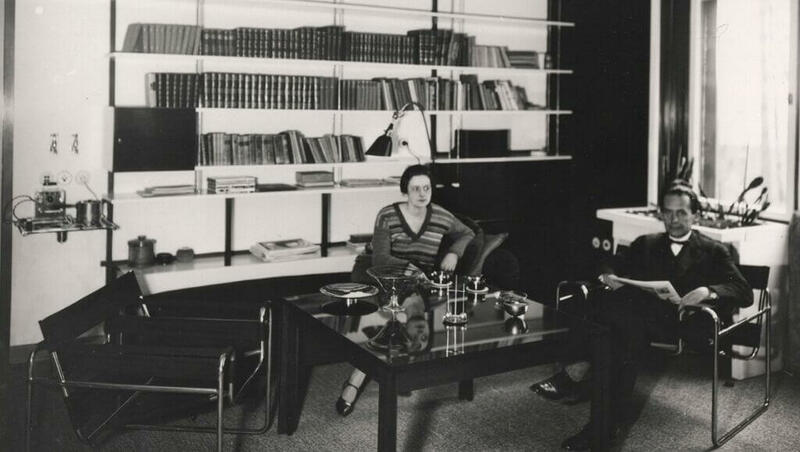 Although, when most people think of Bauhaus, they think of Walter Gropius and not Ise – his wife, even though they were a true power couple and equal creative partners. 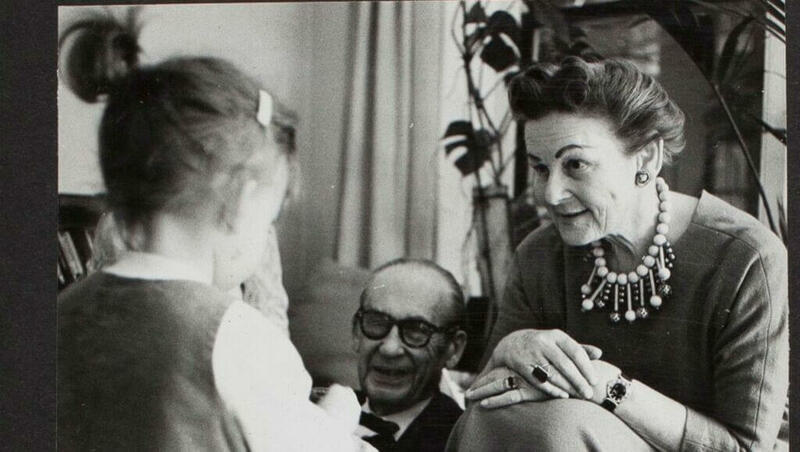 Ise Gropius lived with Walter at Bauhaus during its formative years, and among other things, she was in charge of the organization of the school’s activities. Unfortunately, this was the time when women were expected to stand behind their men, making dinner and typing their manuscripts. Ise Gropius, as well as many other creative female artists and wives, were left out from the traditional discourse of Art History. 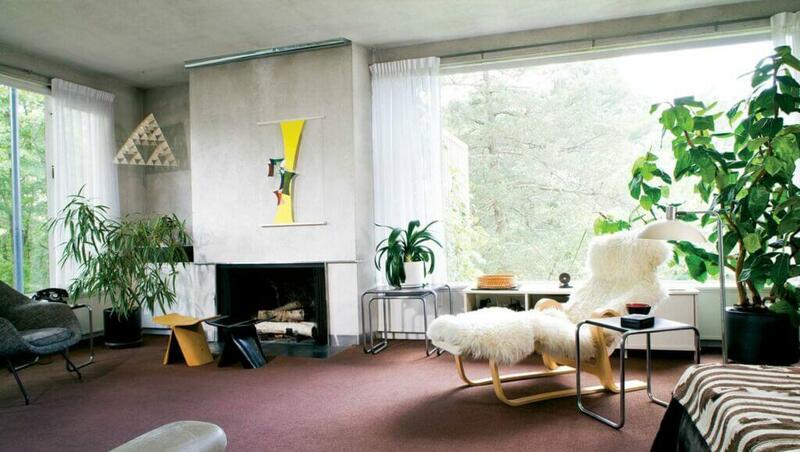 Walter and Ise Gropius were remarkable! They were both brave, had a vision, and they lived their lives in according to their aesthetic. They truly lived everything Bauhaus stands for. Walter and Ise Gropius met in 1923. at a lecture in Hanover, Germany. Ise (at that time Ise Frank) was a middle-class girl, engaged to be married to secure her family’s financial stability. One evening, she attended a scholarly talk about a new artistic movement called the Bauhaus that accepted both male and female students. 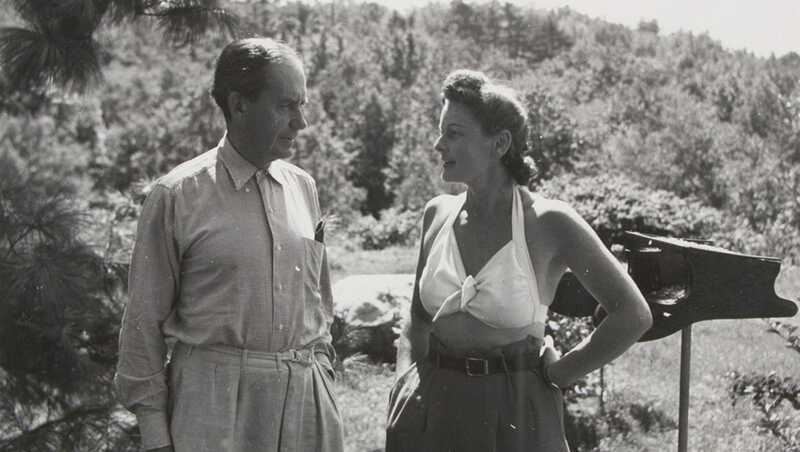 As Wendy Hubbard, site manager of the Gropius house for Historic New England in Lincoln, Massachusetts says – “their eyes met across the lectern” and Walter found out later who she was and pursued her. Ise made the decision to cancel her wedding without even meeting Walter formally and engage in something that isn’t as secure. She literally disappeared for a month from her friends and family to join Walter at the Bauhaus. 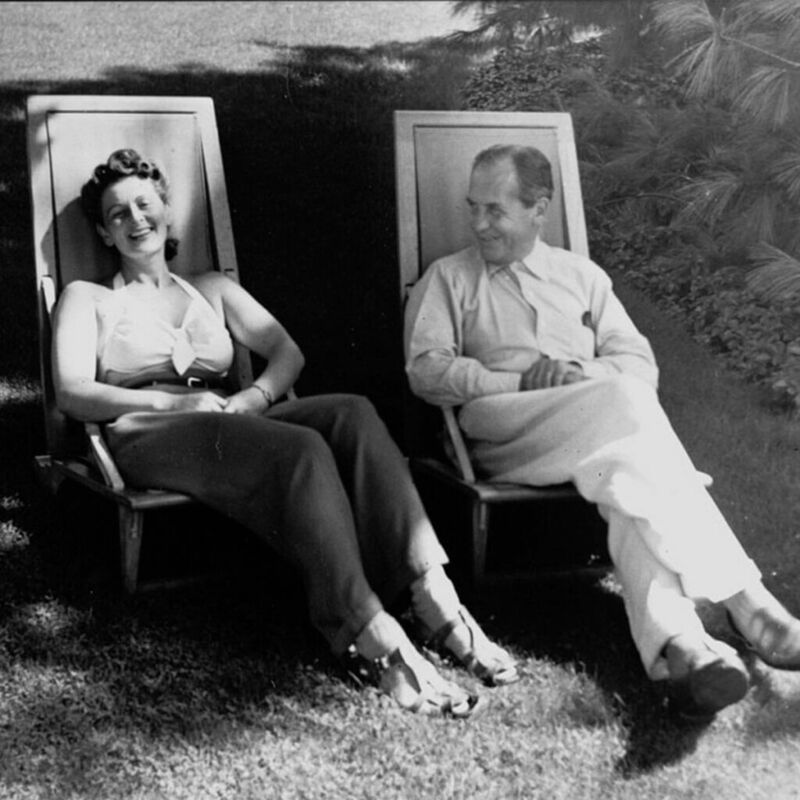 They married, and Ise became Mrs. Gropius. At the Bauhaus, she had another nickname “Mrs. Bauhaus” because that’s how important she was. This couple believed in the celebration of everyday items, and the elevation of design that follows function beyond just aesthetic values. From the documentary photos from Bauhaus, we can see that even their outfits matched Bauhaus ideals as they both were the epitome of the school. 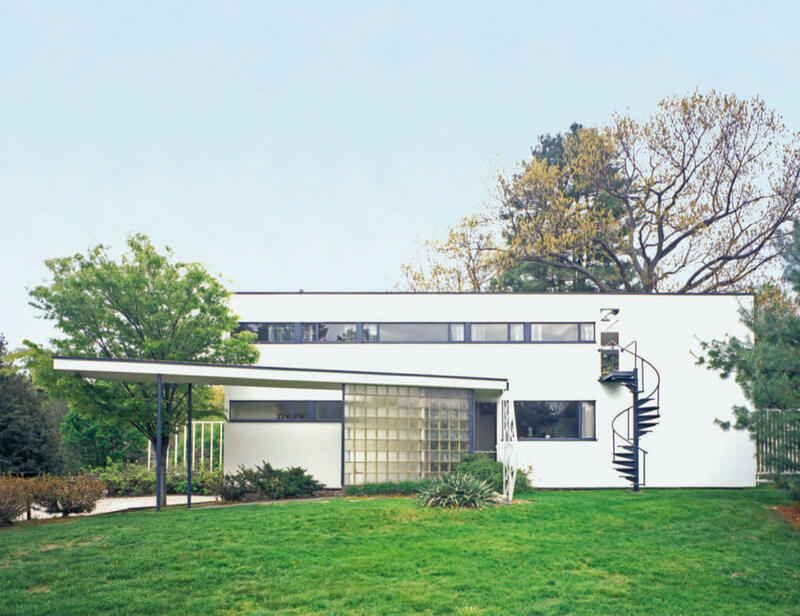 Exterior of the Gropius House in Lincoln, MA. Courtesy of Historic New England. Ise and Walter collaborated on design projects as well. Ise contributed to the interior design for the Masters’ House in Dessau (she for responsible for the kitchen, as an open kitchen concept was something not seen in the interior design until then). The couple lived there in the late 20s before they moved to Berlin and later on emigrated to Britain, alongside with other professors and students from Bauhaus. Even before the Nazis came to power in Weimar Republic, the political pressure on Bauhaus existed. The Nazi movement denounced Bauhaus from the start for the alleged communist and left-wing politics. Even though Gropius protested claiming that as a war veteran and a patriot his work and the school have no subversive political intent, Berlin Bauhaus closed in April 1933. But this was not the end of Bauhaus, because with school’s emigrants the idea of Bauhaus lived on. Walter and Ise spent some time in Britain in exile, but after seeing the situation in Germany escalating, they eventually moved to America in 1937. and settled in Lincoln, Massachusetts where Walter accepted to be a professor of architecture at Harvard. Ise continued to experiment with photography and making jewelry. When she lived in Germany, Ise wrote several well-received essays on design, fashion, and technology, and she was the one responsible in making Walter’s voice accessible and clear, editing a lot of Walter’s articles. 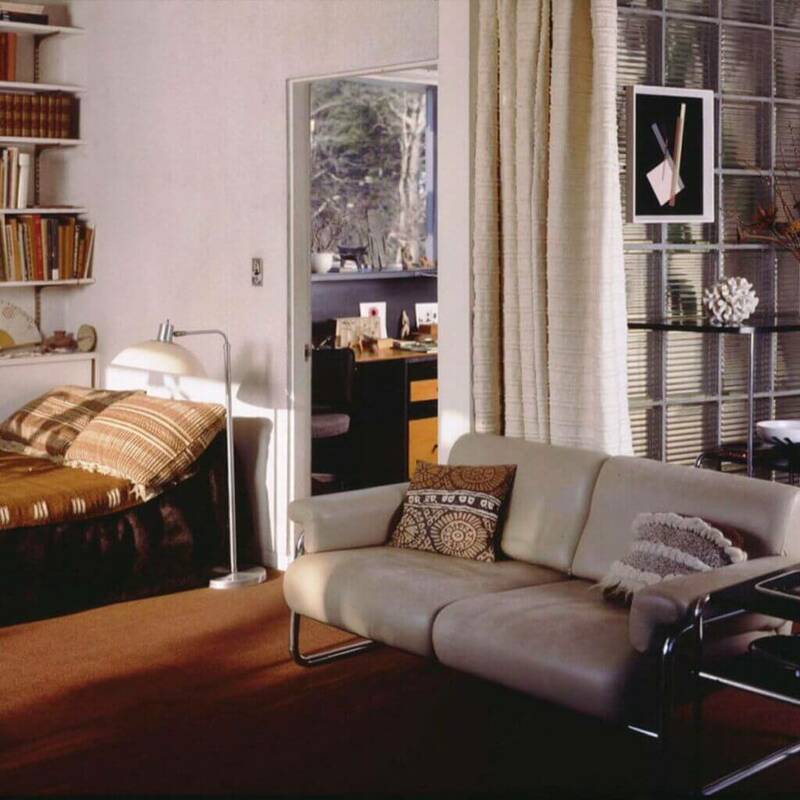 In their new home in Lincoln, Massachusetts, they continued to advance the aims of the Bauhaus movement, hosting events for their friends and colleagues such as Paul Klee, Wassily Kandinsky, Josef, and Anni Albers. They designed their house in Lincoln to speak to the traditional architecture in a modern way. 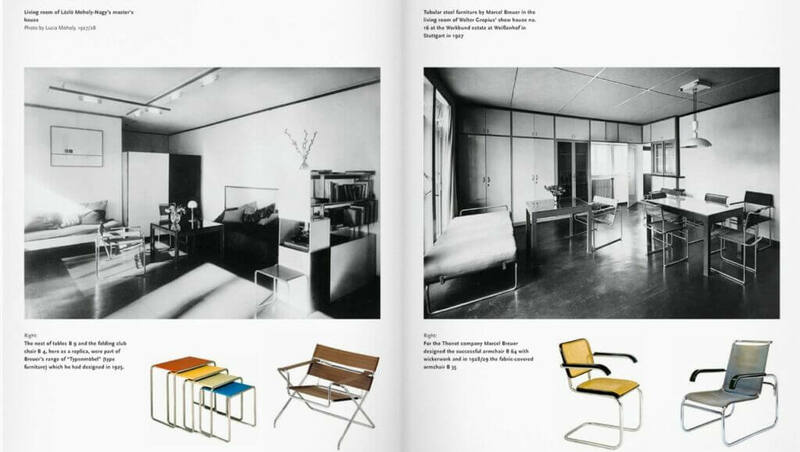 The whole house was an embodiment of Bauhaus principles, from modern kitchen utensils, sleek furniture and even art collection – with many works from the Bauhaus. 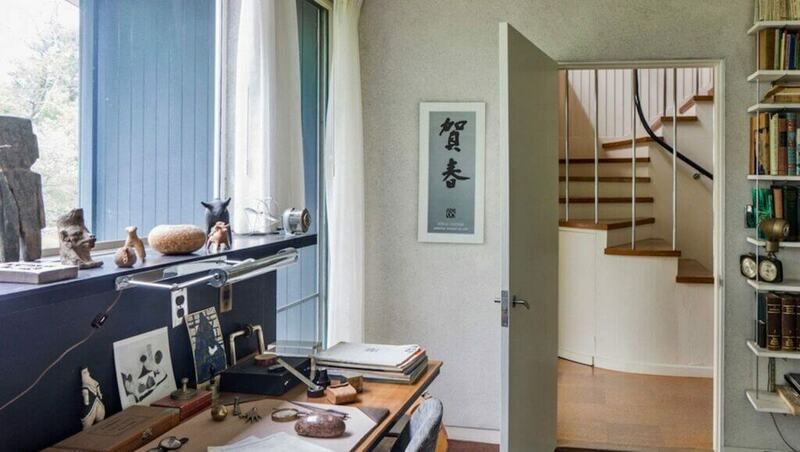 Walter and Ise Gropius were truly a power couple, and even though they lived in the world with traditional old values, together, they managed to change our perception of house as not only a property but as a place to live and be part of this modern movement. Many Bauhaus ideals are still present in our daily lives, and while we maybe don’t think too much about an elegantly designed door handle or an electric kettle. But if you look more closely around you, you will see the original idea behind the Bauhaus in many everyday objects around you. Charles-Édouard Jeanneret, better known as Le Corbusier, was a pioneer of modern architecture and a leader of the International Style. The prominent architect was also an accomplished painter and writer. Le Corbusier was a deeply radical progressive architect, a futurist who was equally and fundamentally rooted in history and tradition. Charlotte Perriand was woman of boundless design fluency, she was a master of translation, tirelessly working to transform her experiences of the world, through design, into visions of contemporary living. Architect, artist, traveler, designer, and urban planner, Perriand moved across scales, using her travel photography as a form of designerly-research, informing her projects. Design throughout history has been shaped and enhanced by the creativity of women; as practitioners, commentators, and educators. But traditional design history eagerly promoted their male counterparts, while female contributions were too often overlooked. To celebrate International Women’s Day we curated a selection of 10 Pioneering Women in Design and Architecture.